Amazon Web Services (AWS) and Red Hat provide a complete, enterprise-class computing environment. Red Hat solutions on AWS gives customers the ability to run enterprise traditional on-premises applications, such as SAP, Oracle databases and custom applications in the cloud. Customers benefit from the familiar interface and consistent environment of Red Hat Enterprise Linux (RHEL) and the simplicity and scalability of AWS. 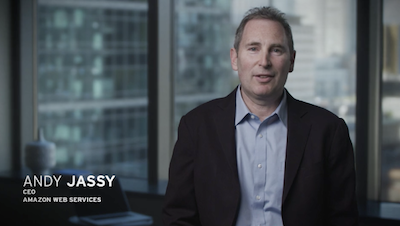 Watch Andy Jassy, CEO of AWS, talk about the annoucement. New Red Hat Enterprise Linux for SAP with High Availablity and Update Services in AWS Marketplace. Read the blog for more information. Adobe uses RHEL and AWS to provide a Software-as-a-Service (SaaS) option for Adobe Solutions. Read the case study. The State of North Carolina unified the state’s websites and content management process using OpenShift hosted on AWS. Read the case study. A global financial services provider headquarted in Australia is using Red Hat OpenShift on AWS to transform its digital banking offering. Learn more. 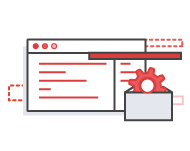 RHEL on Amazon EC2 allow customers to build and test enterprise applications on AWS and in their on-premises datacenters. Red Hat maintains the base RHEL images for Amazon EC2. AWS customers receive updates at the same time that updates are made available from Red Hat, so computing environment remains reliable and secure and RHEL-certified apps maintain supportability. Red Hat OpenShift is a container platform that gives development and IT operations teams the ability to accelerate application delivery with the speed and consistency that business demand. Enterprise customers can build new applications or refactor existing applications using a micro-services architecture through containers. Red Hat CloudForms on AWS helps IT operations teams enhance the visibility and control they need to utilize AWS services in a secure and responsible way. CloudForms’ self-service catalog, combined with automated discovery and full life-cycle management, ensures cloud deployments are standardized, and compliant with policy, while not being “in the way” of developers. Set up a cloud architecture and deploy Red Hat OpenShift Container Platform on AWS. Red Hat OpenShift Container Platform is based on Docker-formatted Linux containers, Google Kubernetes orchestration, and Red Hat Enterprise Linux (RHEL). Find and deploy different options of Red Hat Enterprise Linux AMIs (Amazon Machine Images) available on the AWS Marketplace. Leverage Red Hat Enterprise Linux for SAP with High Availability and Update Services to bring reliability, scalability, and performance to S/4HANA, SAP HANA, and SAP Business Applications.